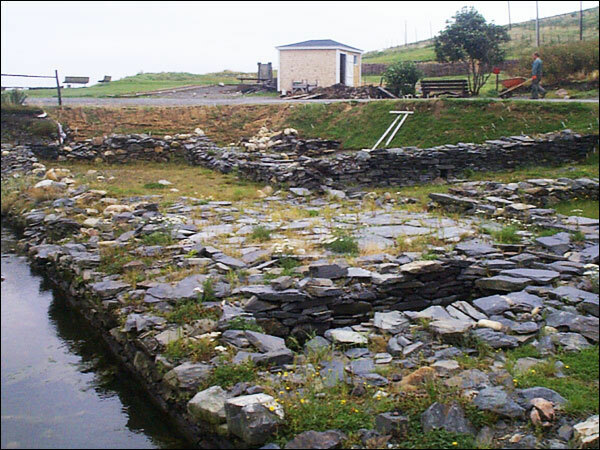 Deposition of Amy Taylor, taken at Ferryland on August 24, 1652, dealing with planters, government, fortifications, cod, fisheries, stages, boats, and taxes. Examination on the Interrogatories of David Kirke, in Baltimore vs. Kirke, given by Amy Taylor on August 29, 1652, and dealing with planters and government. Deposition of Anne Love, taken at Ferryland on August 24, 1652, dealing with planters, government, fortifications, cod, stages, and boats. Examination on the Interrogatories of David Kirke, in Baltimore vs. Kirke, given by Anne Love on August 31, 1652, and dealing with planters and government. Extract from 'The Answer to the Enquiries from the Right Honourable the Lords Commissioners of the Council of Trade and Plantations' by Andrew Leake, 1699. 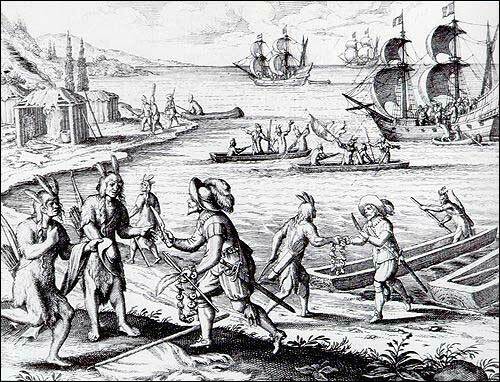 Fishermen from Portugal, the Basque provinces of France and Spain, Northern France (perhaps Normandy) and West Country England are known to have frequented eastern Newfoundland during the first half of the 1600s, some as early as the first decade of the 16th century. The Memorial of Archibald Cumings in relation to the fortifying of Ferryland, dated February 1, 1710. 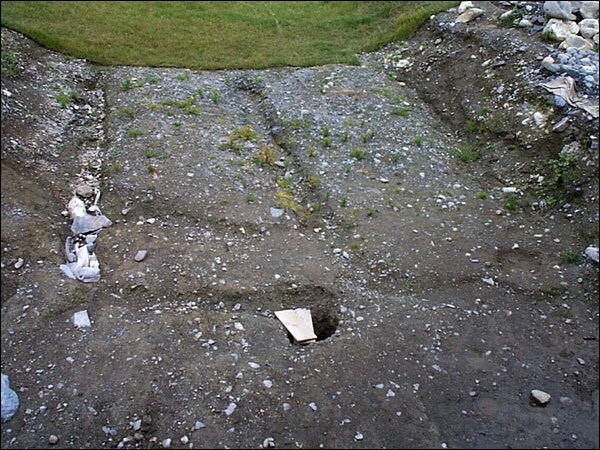 The most obvious feature of the defensive works is a large ditch, some 6.1 metres (20 feet) wide and about 1.2 metres (4 feet) deep that seems to have bordered at least the entire eastern side of the colony. Between 1992 and 1995 a portion of the 17th-century waterfront was revealed. Extracts from a journal by Jean Beaudoin, dated November 10 to 19, 1696, and dealing with France, war, planters, boats, census, and livestock. 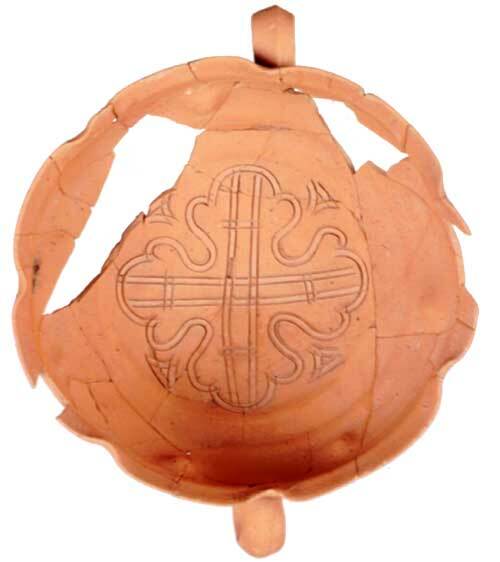 Archaeologists, after finding artifacts in one of the lower layers of the site, suspected they may have been made by the Beothuk. 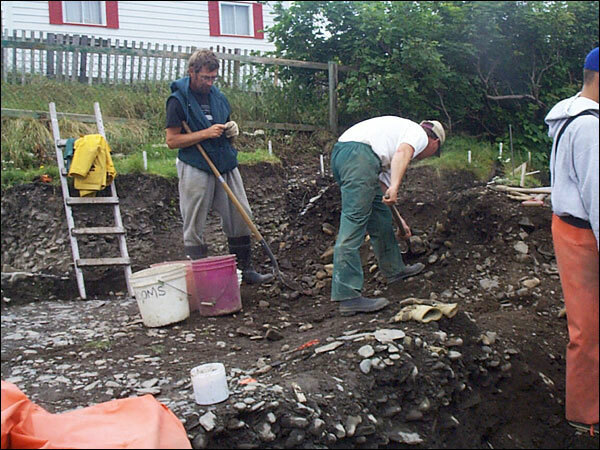 An article about the discovery during the 1995 archaeological field season showing evidence that Ferryland had been occupied by the Beothuk. 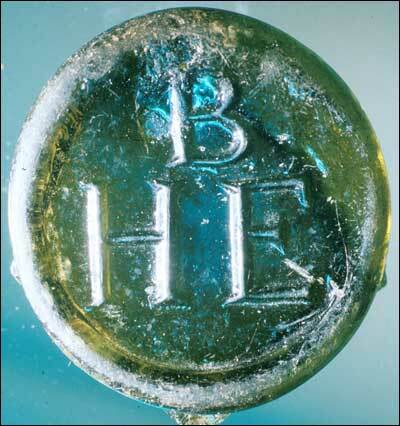 The articles that follow is an attempt to identify the owners of 19 bottle-seal fragments from English glass wine bottles and to provide some insight into the practice of bottle-sealing. 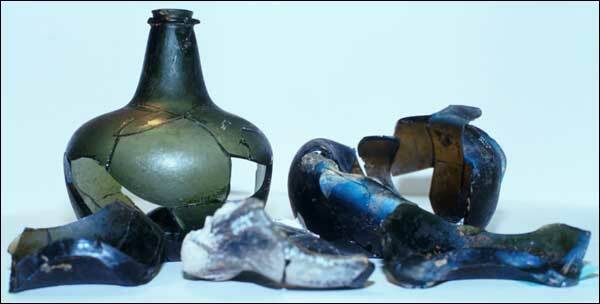 Page 1 showing nine bottle-seal fragments from 17th and 18th century English glass wine bottles unearthed at the Colony of Avalon. 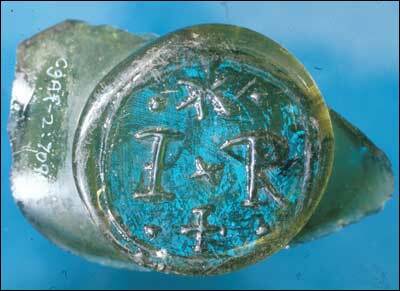 Page 2 showing eight bottle-seal fragments from 18th century English glass wine bottles unearthed at the Colony of Avalon. 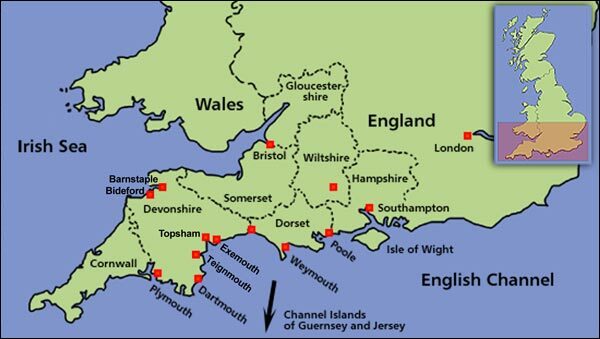 Information about Sir George Calvert and the establishment of the Colony of Avalon at Ferryland. Letter to Sir John Coke from Sir George Calvert, Lord Baltimore, dated March 15, 1625, and dealing with planters, ships, and livestock. 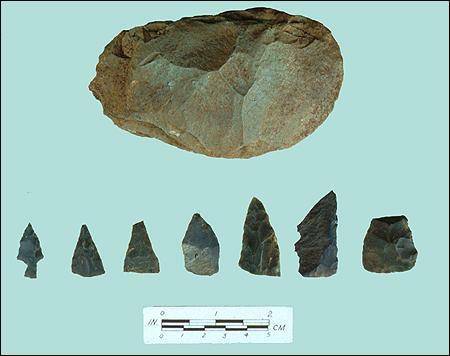 The principal residence of Avalon, where Calvert and his family lived during the winter of 1628-29 and in which the Kirkes established their residence in 1638, has long been the object of archaeologists working at Ferryland.